1 Rebel CW Factory Busted? 2 Jobar Attack or Not? 3.1 Rebel CW Tunnels Found? 4 Aug. 27 Gas Attack on Jobar? They made it sound like a new story. It did sound familiar, but I didn't know that catch well enough to recognize it. So, less relevant, but a point for overall intent and a bit of de-bunking a sort-of false story. By the way I think my glitch is solved (the damn router), with some hours to spare before I crash. Will FINALLY see what I can do here. Islamic Invitation Turkey is mainly recycled crap. Video too long. Watching more now, at about 3:45, as he explains the mistakes people made putting themselves in basements, also some people started fires, I guess to keep warm in the August chill, leading to "undesired consequences." Especially so, those people who burned tires, mixing the gas fumes with "fires and burning tires," "putting tires on fire added insult to injury," especially for his responders, some of who died from all this, leading him to sob. He suggests an education campaign to tell people go upstairs and don'tburn tires when there's a gas attack. ...Three days after the Ghouta attack, the Syrian news agency reported that Syrian soldiers who entered Jobar discovered an underground chemical weapons store, and that some of them suffered from "suffocation". This was quickly dismissed as a desperate attempt to divert attention, and the equipment was estimated to be related to explosives production or to protection from a chemical attack. This blog too did not find that report useful. 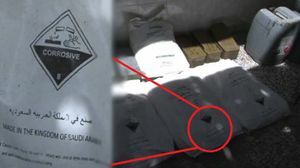 However, Mr. Lloyd managed to identify in a video of the location two items which perfectly match the sarin IEDs used against Syrian soldiers in Jobar, as reported in the final UN report. This attack was of special interest as it was the only one where the UN detected sarin in a soldier's blood sample (despite a one month delay in sampling). Rinse and repeat, or something new? I do not know if there is any credibility to to this story, but it is now making rounds from Global Reasearch to Oriental Review to Voltaire Net to Pepe Escobar in Asia Times. The Commando eventually seized an opposition warehouse containing barrels full of chemicals required for mixing “kitchen sarin”, laboratory equipment, as well as a large number of protective masks. 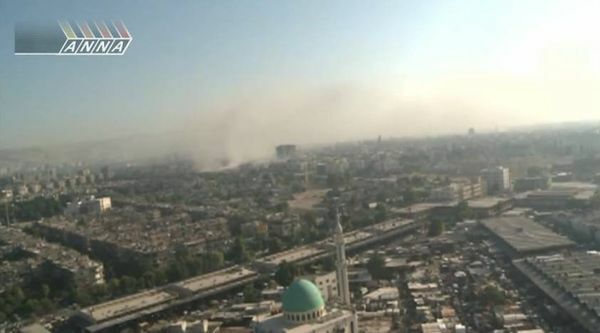 Aug. 27 Gas Attack on Jobar? 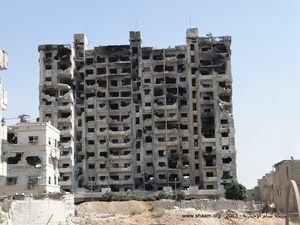 Syrian President Bashar Assad's regime forces bombed the Jobar neighborhood in eastern Damascus with toxic chemicals in a mortar attack, Al Jazeera quoted activists as reporting on Wednesday. The Syrian Support Group tweeted the use of poisonous gases on Free Syrian Army Soldiers, stating Assad's forces used chemical mortar shells on Tuesday against his citizens. ... Videos made by activists showed injuries from burns and people suffering from breathing difficulties. The Syrian Center for Information reported that all the victims are students. This video shows rebels launching a dozen rockets at once from rocket portable rocket launchers right next to the Teachers' Tower. Update: The rockets could also be the Yugoslav 128 artillery rocket. This page was last edited on 10 May 2015, at 12:47.